I posted awhile back about Community Caves. I didn’t have my Kahtoola MICROspikes along on my first trip, so I went back with my MICROspikes to get some closer photos and video. I hope you enjoy them. 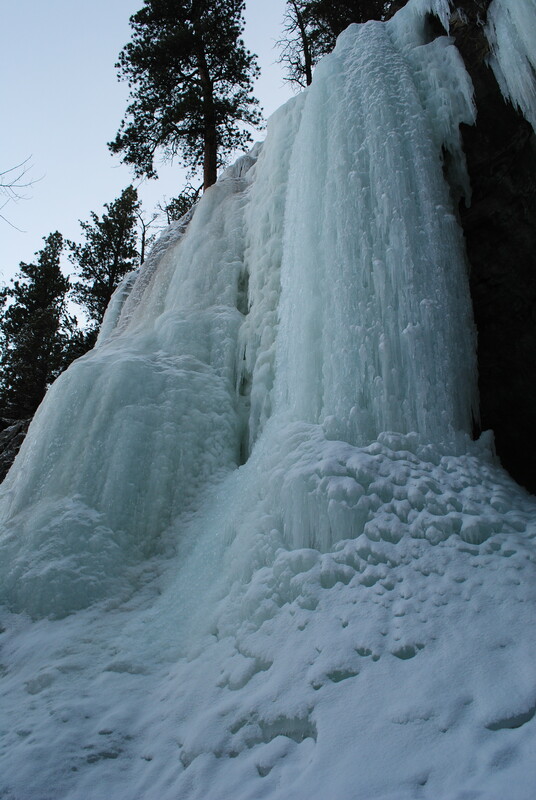 Spearfish Canyon is just beautiful, what do like best about Spearfish Canyon? Hiked up yesterday (April 22, 2018). It was challenging due to the ice, but there were spots that you could get around it. On the way back down we heard a strange sound, like low thunder. We looked up and there was a massive ice slide raining down on us. The ice boulders were massive and we had no options for quickly taking cover. So, right now everything is melting and the hanging ice from the top is less stable. We dodged a bullet for sure and feel blessed that we can look forward to our next Black Hills adventure. This is a must see if the ice is either frozen solid or gone. Cheers! wow! You had quite an adventure, glad you were not hurt.